As one of the pioneers and parents of modern fashion, the Roberta di Camerino fashion house was founded in 1945, immediately after the end of the Second World War. Its mother was Giuliana di Camerino who fled to Switzerland during the war. With the reconstruction of the country, Giuliana started her own fashion house in her old city, Venice. Surprisingly, she didn’t name it after her first name, but rather after the name of the movie Roberta. As the story goes, Smoke Gets In Your Eyes from the film’s soundtrack was the last song that Giuliana danced to before fleeing the country, so this was her attempt to remember the better, happier days. Maybe it was the unique circumstances, with no competition in those few years, but the pioneering spirit paid off. The fashion house is credited with the invention of the It bags, as well as pioneering incredible new designs. The house actually received a Neiman Marcus Fashion Award in 1956 as recognition of the influence that its bags had on the fashion world. Her impact on fashion was so great the 1964, Prada, and I’ll have to say this again, Prada!, copied one of her purse designs. Of course, she had to diversify. She later got into eyewear, perfume a lot more accessories. Unfortunately, in 1980, Giuliana decided to close the fashion house, so she could concentrate on other activities. However, she brought the fashion brand back to life in 1996, reissuing those vintage Roberta di camerino purses, as well as new accessories. These days, the fashion house, having been acquired by Sixty Group, has ditched all its other departments (eyewear, knitwear and other accessories) in order to concentrate on the one thing it knows best: the Roberta di Camerino handbags. Saddly, Giuliana passed away in 2010. Her role has now been taken by a team of designers with extensive experience at Prada, Gianfranco Ferre and Versace. 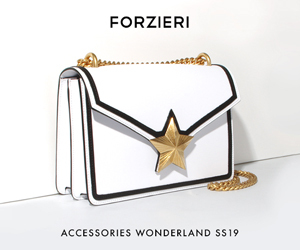 My favorite place is Forzieri. Go ahead and buy the last of these handbags that the fashion house is renowned for. Its collection of perfume is also impressive. Take a look at this nice selection of fragrances. How do you like Roberta di Camerino? Have you ever bought any of their products? What was you impression of them?